You may have been kicking the tires on building a new garage, remodeling your garage or doing a full rebuild for a while now. Maybe you want to add value to your home, maybe you want to protect your things from the elements, maybe you are starting to feel like you would have been a contestant in our Ugliest Garage Contest last year. No matter the reason, you have come to the conclusion that it’s time for a garage. We understand. 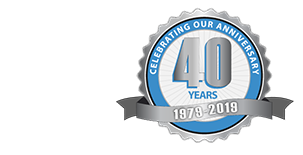 We’ve helped thousands of homeowners to complete garage projects in our past 35 years. That’s why today we’d like to help you know what to expect through ours, our competitors, and any other garage builder’s process. 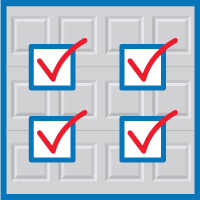 Simply put, we’ve developed a checklist for homeowners in the process of building a garage. Before you even make calls, develop a list, or start looking at reviews, you need to recognize that your garage (or lack thereof) is a problem that needs to be fixed. Getting Rid of the Carport: Carports don’t protect as much as many homeowners like. Here’s someone who was able to convert their attached carport to a garage. In Need of Something Bigger: Families grow, and with that comes additional drivers. Here is an example of an Oak Park resident who decided to upgrade from a one- to two-car garage. Gallery of Garage Havens: Features impressive car storage spots, wine cellars, garage bars, and more. Now that you know that you need to update or build a new garage, it’s time to start building a list of potential builders. Start with a long list based on galleries, locations, and recommendations. For more information on creating a list, check out our recent list of things you should look for when selecting a Chicagoland garage builder. A simple look on your favorite search engine is the easiest way to start. Type in “[city] garage builder,” and you’ll be on your way. If you noticed a few thousand results, it’s understandable. There are hundreds of decent garage builders in the Chicagoland area. But who wants ‘decent’? To find a spectacular garage builder, you need to entrust other sources. Where do you look? From many suitors comes few garage builders qualified to serve you. Now is the time to request a free quote and consultation regarding your needs. In next week’s blog, we will share with you what you can expect in your consultation with a garage builder, including questions you need to ask and how to make a decision, as well as the permit process, construction, and more. Stay tuned.